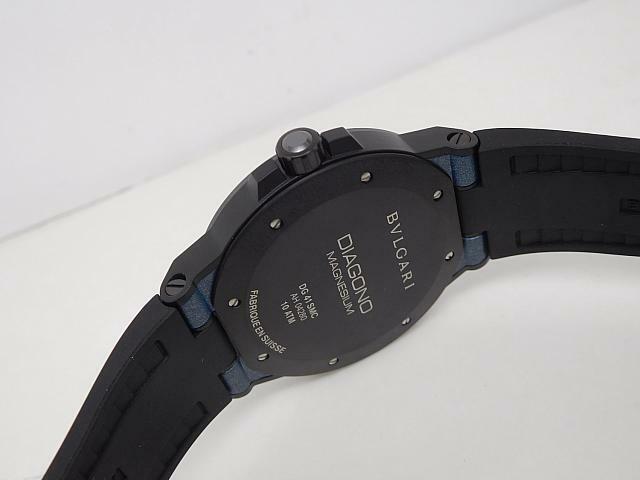 I have been wanting to introduce this replica watch to you guys for a long time, it is the most elegant diver’s watch I think, and the factory just published several pieces, so it is available again. 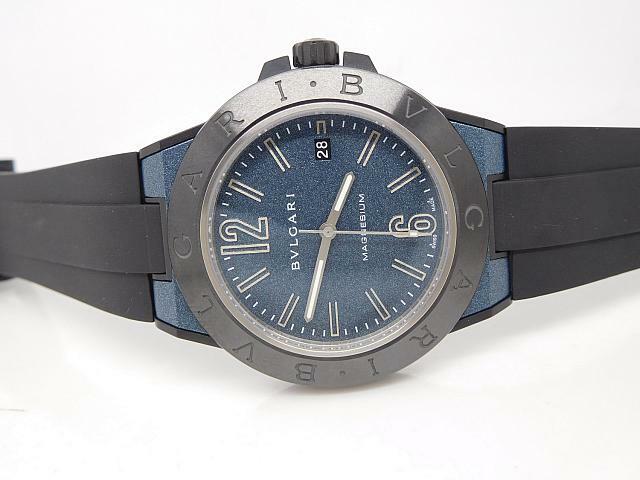 I love diver’s watches very much, especially those brands that are full of military history, so Panerai is such a brand and I have done a lot of reviews on it. 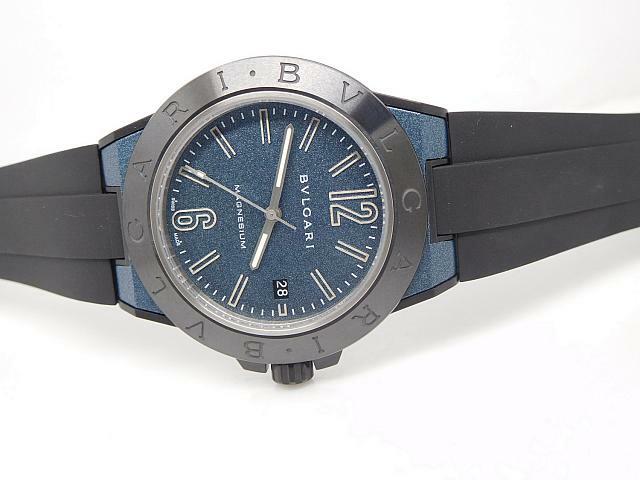 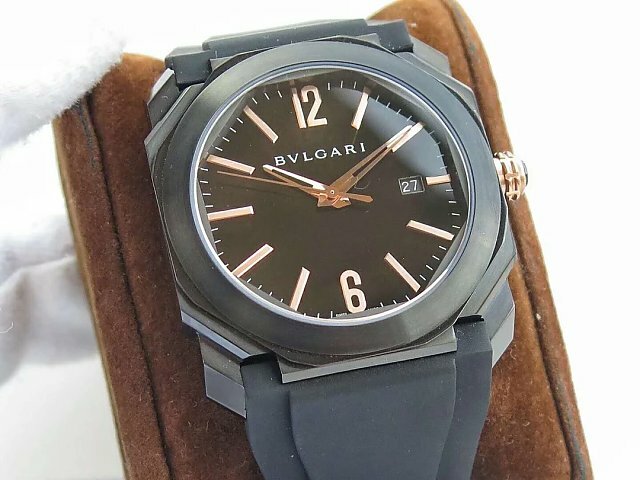 Today the Bvlgari watch I am going to share a review with you may be not familiar to you, because many people know Bvlgari because it makes the famous tourbillon watches, they never know Bvlgari also has made such a diver’s watch. 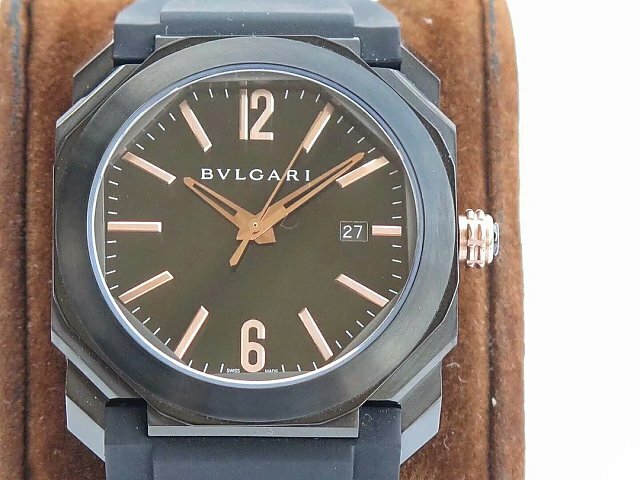 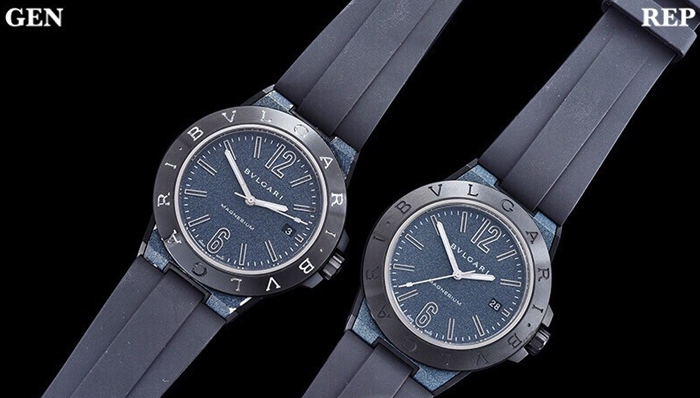 Yes, compared with other diver’s watches, Bvlgari Aluminium looks too “delicate” and does not have that rugged feeling like Panerai Submersible. 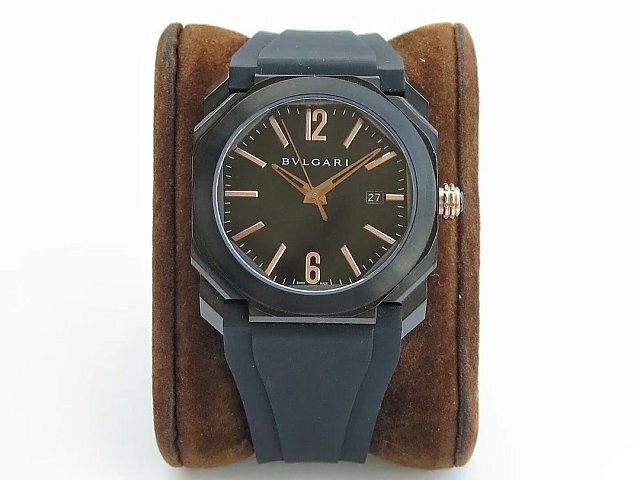 But for some reasons, I like this watch, I feel it is more comfortable to wear than others. 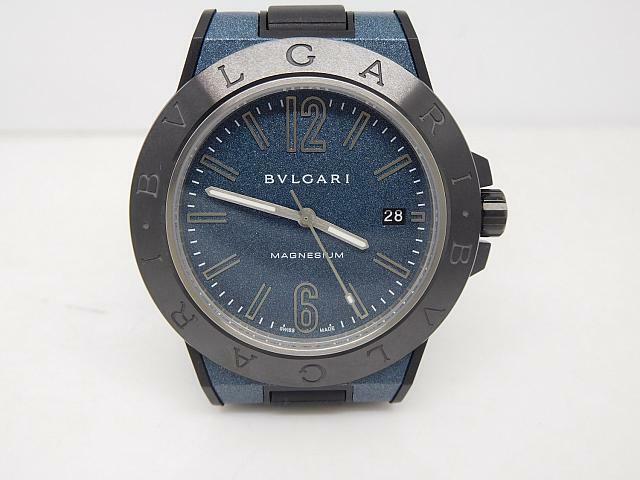 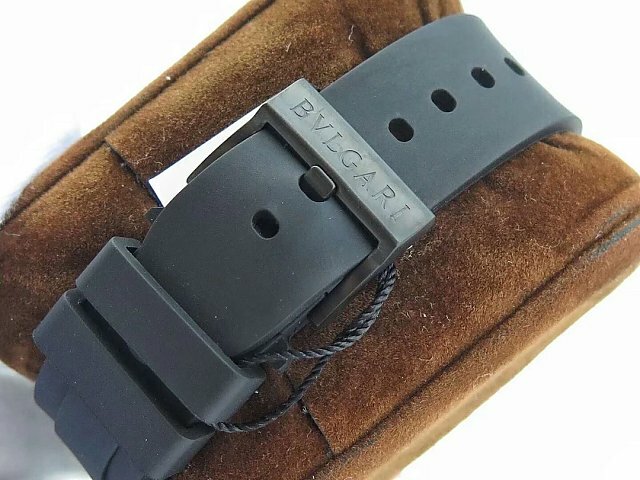 Maybe lots of you guys will not think Bvlgari Aluminium is not a diver’s watch because of its aluminium case, but I think it should be more considered to be a diver’s watch because the rubber material, which is the mostly used material on this replica watch, there are black rubber bezel and band. 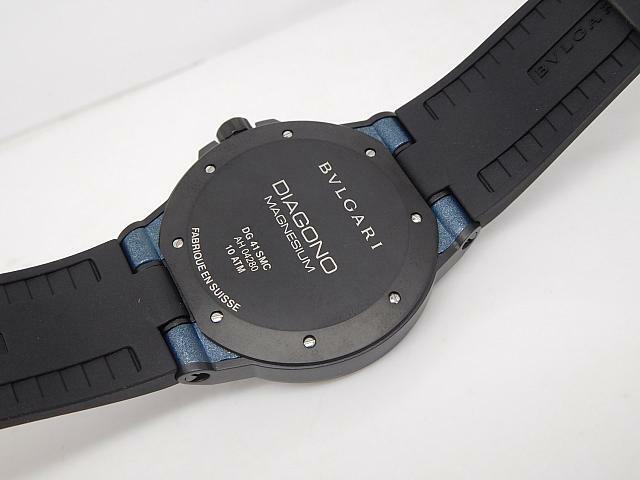 I do not know if you have noticed its watch band, I saw it has three sections, each rubber section has screws to fix. 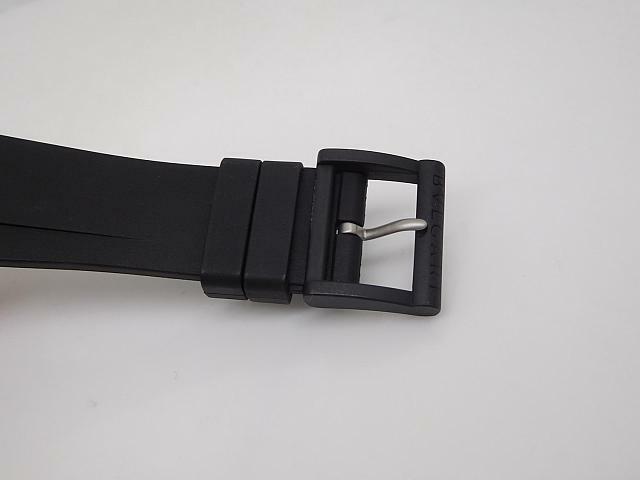 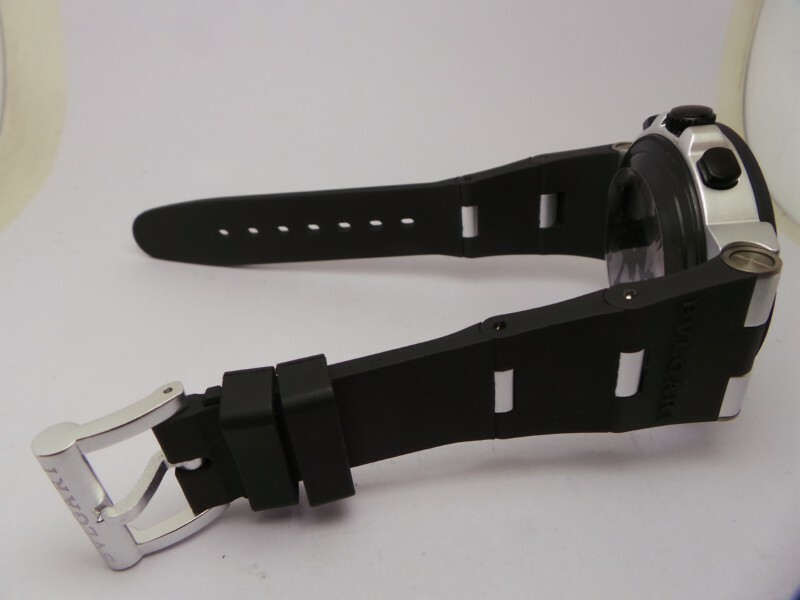 So the design of rubber strap is flexible and could fit your wrist to the maximum extent, and you also do not need to wrry to break the rubber. 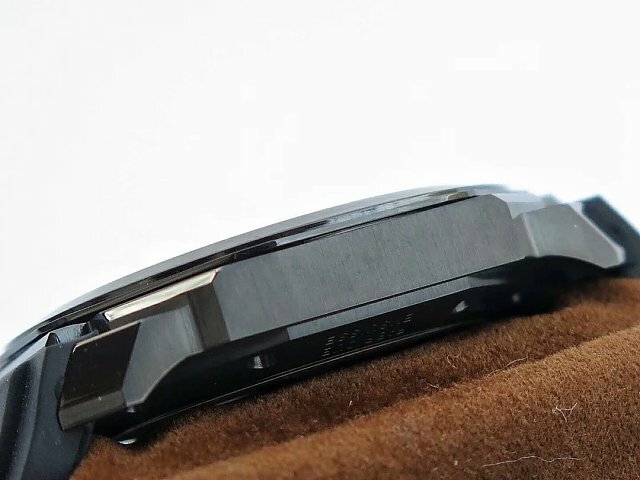 The rubber band is the biggest place I like about the watch. 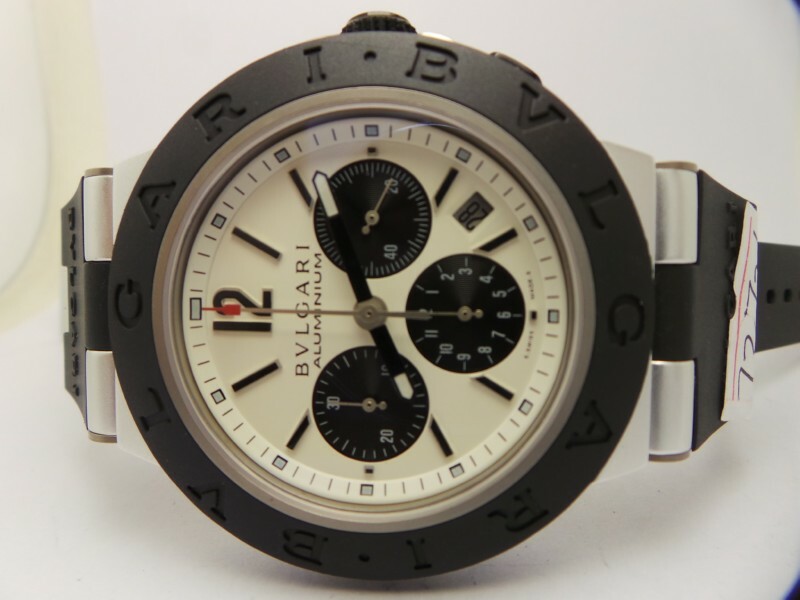 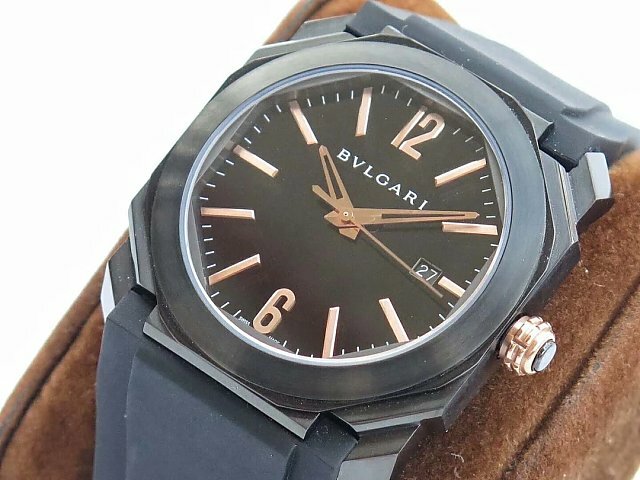 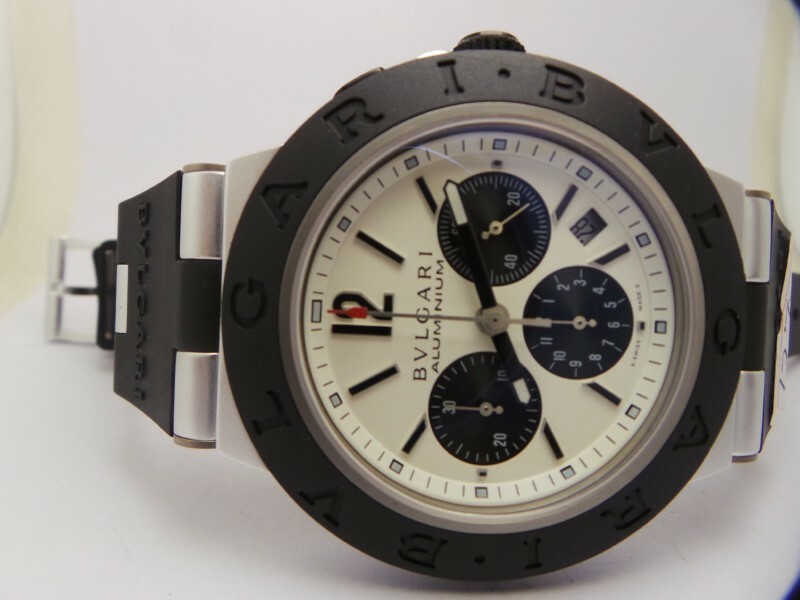 The black rubber has two words “BVLGARI”. 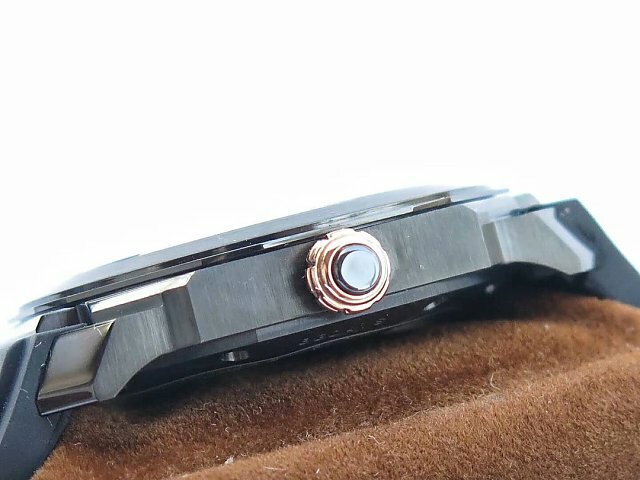 Although it is a chrono watch, you will not notice its chrono buttons when seeing from the front, the case has protected the buttons very well to avoid being collided by hard objects. 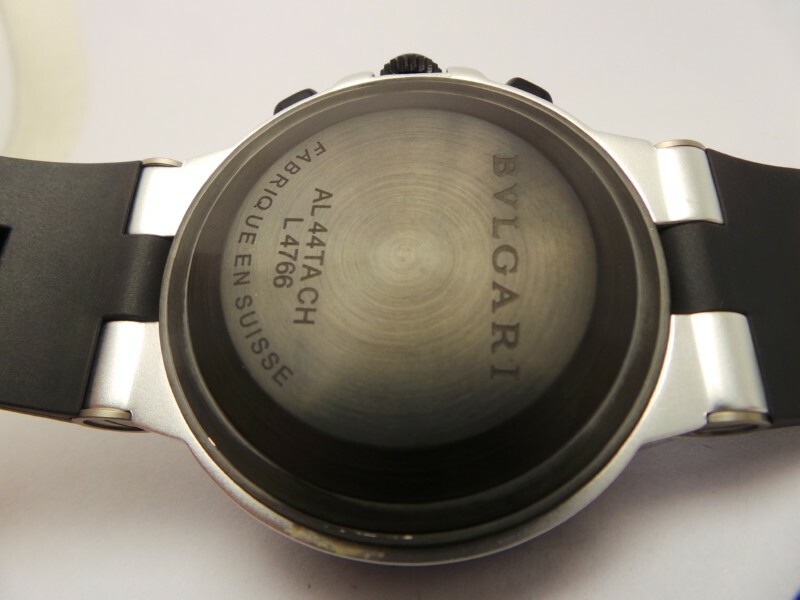 The dial is a combination of white and black, except the small red tip on central second hand. 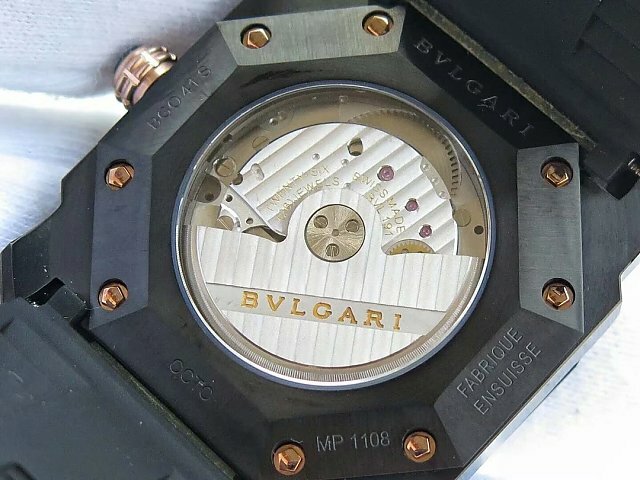 The replica watch runs its small second hand on the 3:00 subdial, there are 30-minute and 12-hour chronograph counters positioned at 9 and 6 o’clock. 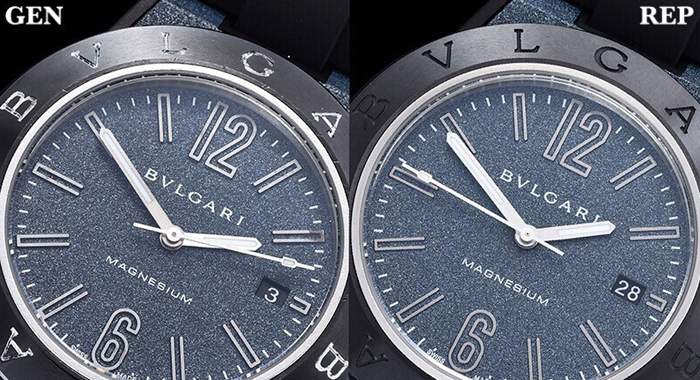 Black subdials and black steel hour markers are echoing with black rubber material on the watch. 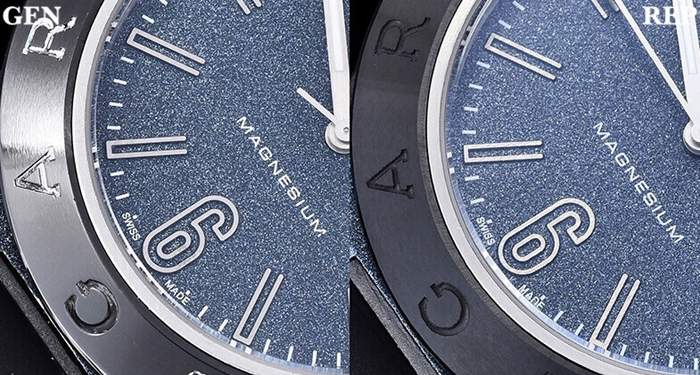 If you red the dial carefully, you will find it has three layers, besides the sunken subdials, minute markers and square lumed hour markers are all on the raised oblique inner bezel. 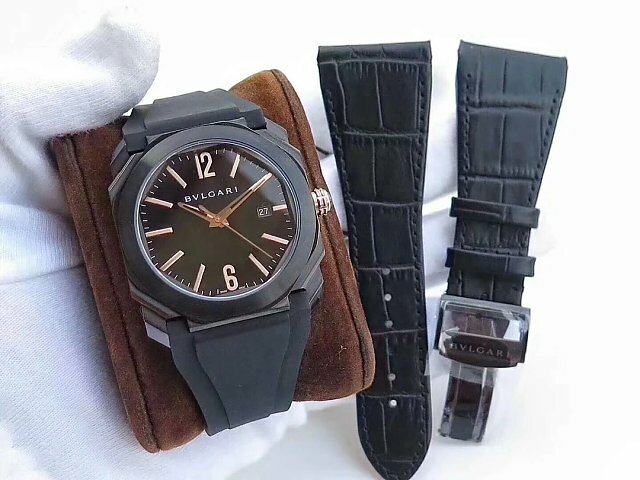 Finally, the replica Bvlgari Aluminium watch is equipped with the most original chronograph movement, which means that its movement was not modified at all, every feature was maintained to be its original state. 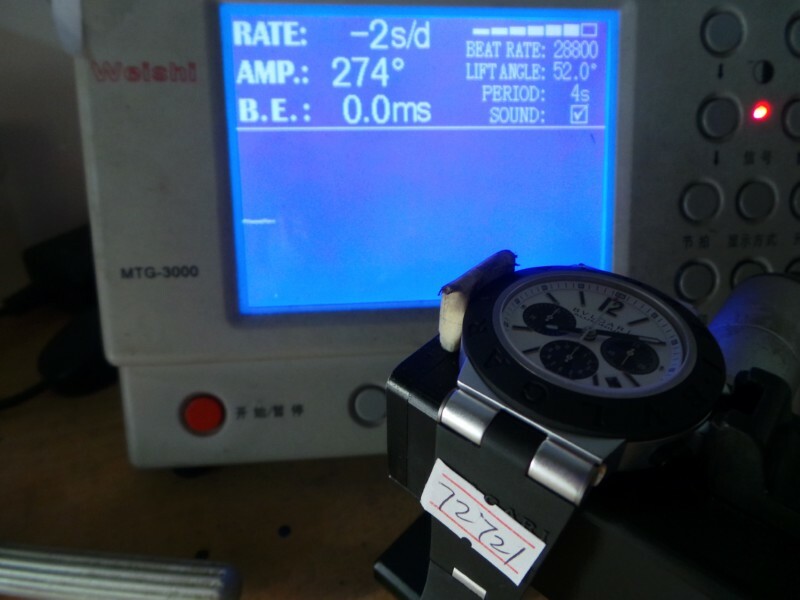 So, check the movement accuracy testing result, you will find there is only 2 seconds inaccuracy, which is much better than most other 7750 replica watches. 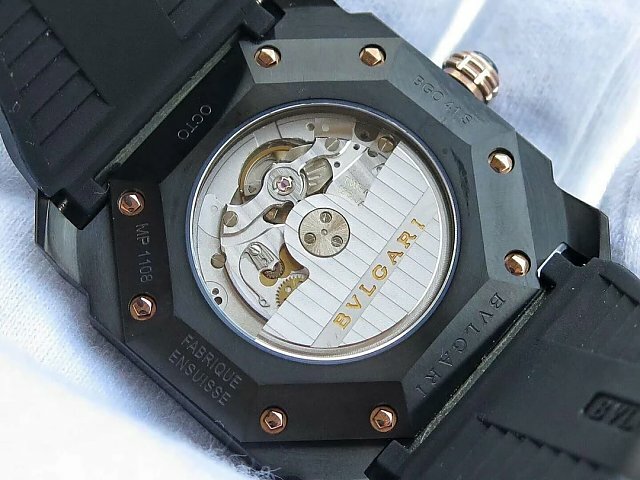 In a word, whether on design or accuracy, I think this replica is worth having.